Currency • A series exploring the highs and lows of Lafayette’s economy, providing critical commentary about what’s working and what’s not. 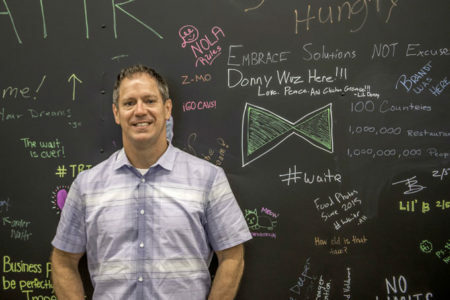 Ever the CPA, Mayor-President Joel Robideaux has marketed himself as a “find-the-money” executive, able to scour spreadsheets to raise cash for his priorities. 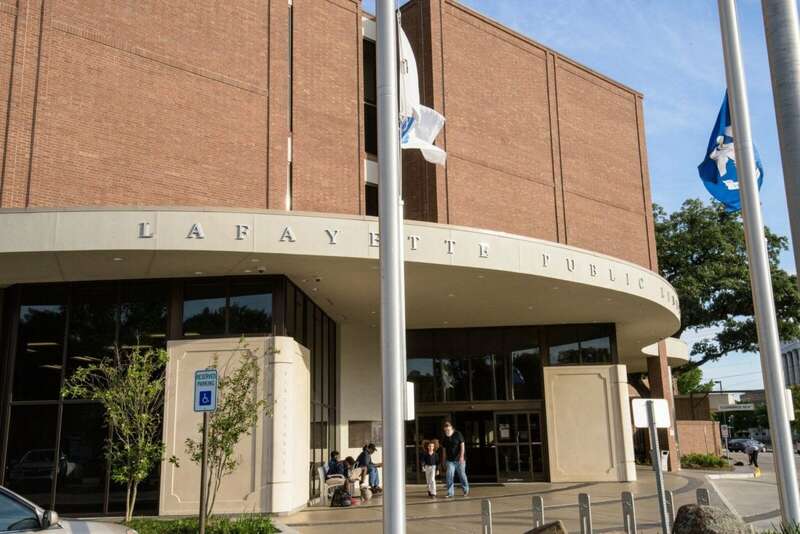 A proposal to move $18 million from the Lafayette Public Library’s sizeable fund balance to as-yet unnamed road and drainage projects fits that mold. On the surface, Robideaux’s strategy makes fiscal sense. If we have money sitting in dedicated library funds not being used, why not redeploy it to other projects that could use the money now? Dig a little deeper, however, and there are hidden costs to the library rededication that complicate his rationale. The plan is not as prudent as it appears. For starters, the rededication risks the library’s financial stability. Library officials will begin coping with a shrinking budget at the end of next year even without accounting for the proposed rededication. Last year’s failed millage (property tax) renewal cut $3.2 million from the library’s annual tax revenue of $13.5 million. Another millage renewal is around the corner in 2022, worth more than $4 million. Should that fail, the library administration will have to find ways to cut a $12 million operating budget down to $6 million, a figure that does not include capital projects. The library spends more than $7 million in staffing alone in its current budget. There’s no way around it: The only way to deal with revenue reductions of this magnitude is to cut staff and services. In fact, if the worst-case scenario happens and the next millage renewal fails, it’s likely library staff will have to choose between shutting down branches or only operating a few days a week. Lafayette Public Library Director Teresa Elberson tells me that would set the library’s progress back 30 years. The current $26 million fund balance at least provides some cushion to navigate the transition to diminished services; it can be used to fill holes in budgets and still allow for some money to pay for capital projects. But the $8 million Robideaux believes is sufficient for future needs won’t. Without major cuts, the library will be running at least a $2 million annual deficit that will burn through this level of “surplus” in no time. Even with major cuts, there just won’t be much money available for new capital projects, new facilities or new staffing. Case in point, Elberson and co. had aspirations to expand the North Library with new meeting rooms. That project isn’t already accounted for in the library’s unassigned fund balance. If this rededication goes through, that expansion will likely have to be put on hold for the foreseeable future. What that means is that the library system will, at best, become frozen in time, especially over the next three years until the next millage renewal vote. 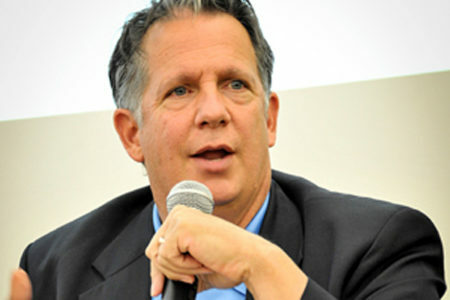 (Councilman Bruce Conque’s $10 million compromise suggests a wait and see on that millage.) The absolute most the library can hope for is treading water. Most likely, library administrators will have to start making ongoing reductions in budgets for staffing and maintenance at a time when they have been expanding the system to meet demand. But these are only the most obvious costs, as there’s a more dangerous hidden price we’ll have to pay. Robideaux’s approach perpetuates a “use it or lose it” attitude across government agencies, in effect punishing fiscal responsibility. In many ways, our library system has been a model for how government should manage tax dollars. The only reason it even has a fund balance this large is because the library’s administration was conservative in its budgeting, in particular when it came to projecting how much money it could count on millages to generate. Elberson tells me the library administration has pursued a money-saving policy for years so it wouldn’t have to sell bonds or rob some other department when it needed to fund new capital projects. Instead of being rewarded for this fiscal stewardship, the library’s piggy bank is being raided to pay for other priorities. Moving forward, what incentive will the library or any other agency that carries a fund balance have for not spending every tax dollar it gets? Some library staff members tell me that’s exactly what their leadership had been warned about, and it’s coming to pass. What’s most frustrating about this situation is it seems like there were better policy options available to more proactive policymakers. Robideaux says he first approached the library board about rededicating some of the fund balance as early as 2017. The main argument made against renewing last year’s millage — one of three the library carried — was the size of the library’s fund balance. Ultimately, it failed to renew by a margin of only 646 votes, or about 5 percent of the total turnout. It makes me wonder: If the public had known that there was a plan in the works to reduce the fund balance by $18 million would this have caused more people to vote in favor of renewing the library’s millage? Or what if it had led fewer people to show up to vote against it because of what they perceived as the library’s oversized “surplus”? Or what if it had inspired more people to show up to vote to protect the library’s financial health? If knowing that would have changed the minds of just 400 out of the 12,000 or so people who voted, that millage would have been renewed. With that millage still in place, the library could afford to give up a significant chunk of its fund balance knowing the account could be replenished a little bit every year. And, in fact, Elberson tells me her leadership team was open to the idea of supporting an effort to rededicate some of the fund balance back in 2017, but they just weren’t (and still aren’t) ready to commit to a specific plan of action with so many major capital projects still underway and so much growing uncertainty about the future of their funding sources. If some of our leaders believe the library has too much taxpayer money, why is it that no one thought to rededicate the millage rather than just let it get voted down and go away? What if instead of voting against renewing the library millage we had voted to rededicate recurring revenue to fixing roads and funding the next slate of drainage projects? Instead of having $18 million in one-time money, infrastructure needs would have an annual boost of at least $3 million a year and more than $30 million over the 10-year term of the renewed, rededicated millage. That would have meant a lot more money for roads and drainage without having to cut the library’s fund balance by almost two-thirds. That points to the other elephant in the room: We still don’t have a way to pay for all the work that’s needed to fix the city’s drainage and road problems. Robideaux has said the Public Works Department has already identified $97 million worth of road overlay projects that are needed, and Public Works has indicated that truly fixing the drainage system could cost hundreds of millions of dollars. Put simply: There just isn’t that much money laying around to solve all these problems. Altogether there’s less than $50 million in all the parish fund balances combined, with $26 million of that currently in the library. If this rededication goes through and that $18 million is spent on paving roads and cleaning coulees, the parish will only have about $30 million left in all its fund balances. So even if we repurpose the library’s money, we still face the challenge of figuring out where those hundreds of millions of dollars are supposed to come from. When you take a step back and look at the bigger picture, it’s hard not to feel that rededicating $18 million away from the library will move the needle by inches when we have miles to go. Over the last decade, Lafayette’s libraries have become something that we should be proud of. We’ve made investments in building and renovating all sorts of new facilities that offer a wide array of services, providing crucial access for people of all walks of life. Those services are now at risk. Facing major dysfunctions in the rest of consolidated government, our political leadership is turning to a politically expedient bandaid that at a minimum will hamstring the library’s ability to serve and at a maximum threatens its entire financial stability. Finding ways to be smarter with tax dollars is a good thing. But paralyzing one public service to marginally improve another falls well short of good policy. That’s just rearranging deck chairs. A smart solution would patch the bigger holes sinking the entire ship. Geoff Daily created FiberCorps and helped launch the Lafayette General Foundation. He now works as a launch strategist. these are things that have long been coming. what discussion would you like to have? I personally voted for some of these tax increases or renewals, not all but some. It just seems that the majority of people don’t find solution in tax increases. And they have a point. 2/3 rds of our revenue comes from indexed taxes. Meaning sales tax as a percent of sales and property tax as a percent of property values. so based on the “economic development” dollars we took out of tax revenue to create economic prosperity, shouldn’t revenue be sufficient to pay for the the road and drainage. But its not, so why not start the discussion with that model and why its not working. asking people to accept more “temporary taxes” obviously aint working. can you blame the for being skeptical? 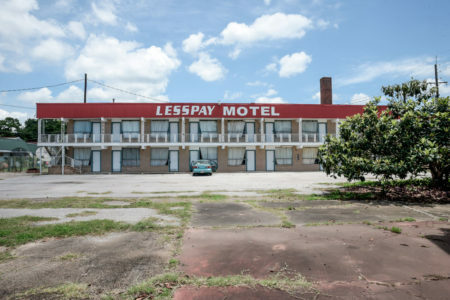 The gist: A major real estate developer has reportedly moved to purchase the Less Pay Motel and the adjacent former Coca-Cola building, together comprising a whole block of the beleaguered Four Corners area. Waitr goes public Friday. Technically, you can get in on that stock now. The company will have $200 million on its balance sheet after it goes public, converting Lancadia Holdings to Waitr Holdings.